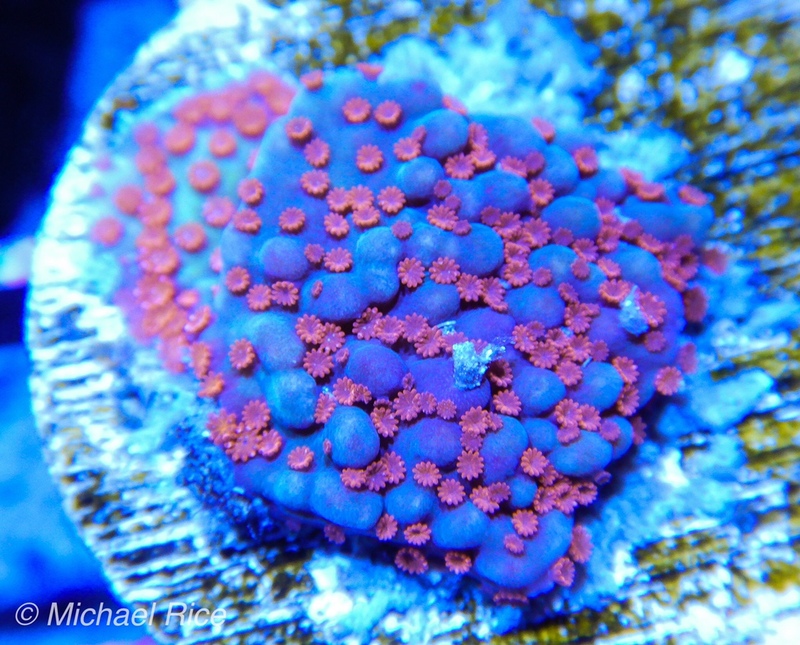 Difficulty Level: These are not beginner corals, but they are much more tolerant than most SPS. 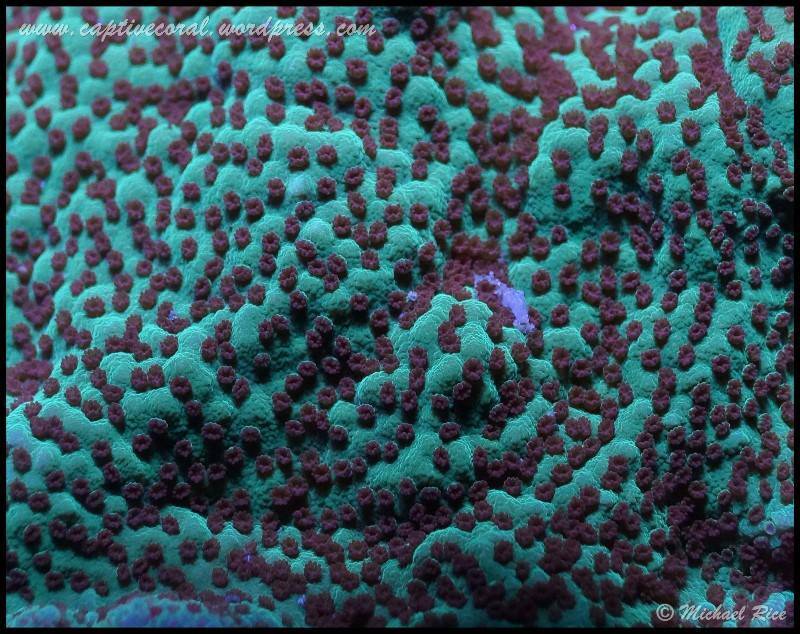 Feeding: Montipora has extremely small polyps and only the ability to capture the smallest items. Feeding is not usually needed in a well lit reef. 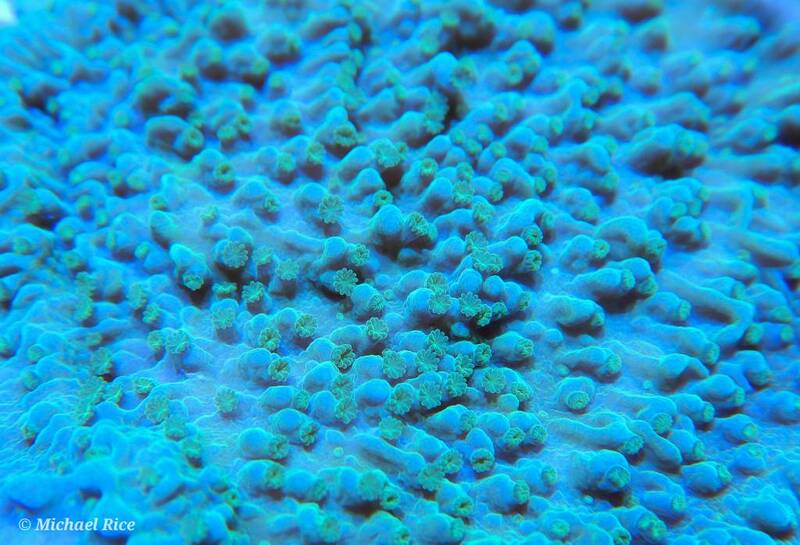 Lighting (Level 6 to 10): These corals prefer medium to high light, but they are one of the most sensitive to bleaching. Make sure to take extra time and care when acclimating them to higher lighting levels. Water flow: All species need higher flow, but plating species need especially high flow to keep free of debris. Placement: Keep in mind their unique growth forms when placing them. 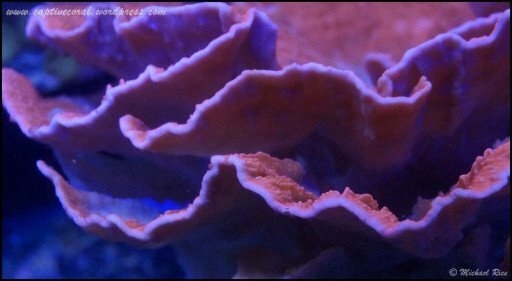 They will generally win against acropora, so keep that in mind when setting up a predominantly SPS reef system. Mike, thanks for posting all of these Spotlight threads. It is really helpful for us new guys. Happy to help. I’m glad people are finding them useful! This one has awesome color contrast.